For a romantic operetta concert on CD, one needs a soprano and a tenor, especially singers that finally take the metier seriously. Natalie Karl and Matthias Klink have a clear soft spot for the underestimated muse. Accompanied by the Baden-Baden Philharmonic Orchestra conducted by Pavel Baleff, the first operetta recital together for the married singers from Stuttgart, Germany is basically devoted, alongside some popular pieces – in particular by Franz Lehàr – to lesser known operettas by E.Kàlmàn, E.Künneke, Robert Stolz, C.Millöcker and P.Lincke. 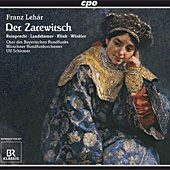 The Munich Radio Symphony Orchestra and its Director of Music, Ulf Schirmer, have released the latest CD in their Lehár cycle –the operetta "Der Zarewitsch". 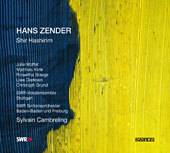 It is performed by a cast of renowned soloists and the Bavarian Radio Choir. 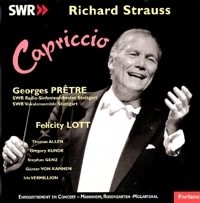 The production is a live recording of the concert given in the Mannheim Rosengarten’s Mozartsaal on 28 May 1999. Matthias Klink sings the "Italian tenor”.